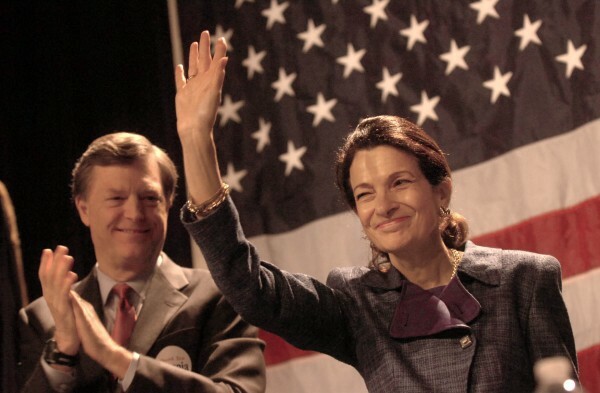 U.S. Sen. Olympia Snowe waves to her supporters after delivering her speech at the Maine GOP Convention Sunday afternoon at the Augusta Civic Center. Behind her is her husband, former Maine Gov. John McKernan. 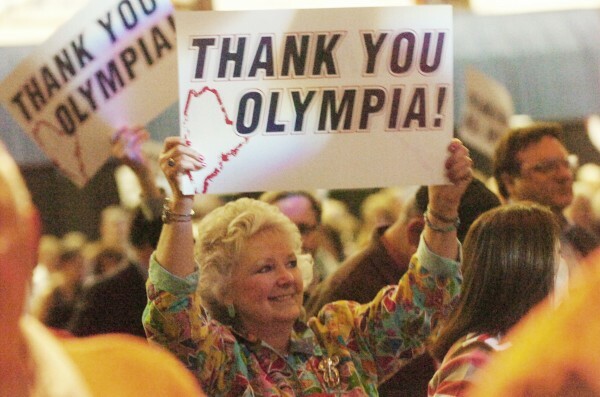 One of U.S. Sen. Olympia Snowe's supporters holds up her sign in the crowd after Sen. Snowe delivered her speech at the Maine GOP Convention Sunday afternoon at the Augusta Civic Center. 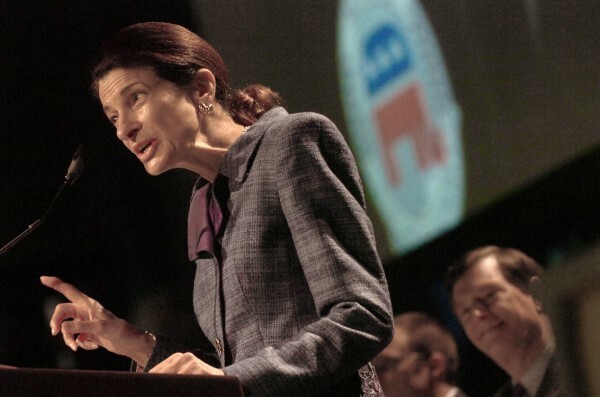 U.S. Sen. Olympia Snowe delivers her speech at the Maine GOP Convention Sunday afternoon at the Augusta Civic Center. Sen. Olympia Snowe, R-Maine, accepts a kiss from her husband, John McKernan, following her speech at the Maine Republican Convention at the Augusta Civic Center in Augusta, Maine on Sunday, May 6, 2012. Snowe is leaving the Senate this year. Snowe shocked Maine Republicans — and Mainers in general — when she announced in late February that her current term in the U.S. Senate would be her last. Her exit from the race opened the door to six Republican candidates, four Democrats and three independents who hope to succeed her. The six Republicans each were expected to speak on Sunday at the convention. Left out of Snowe’s half-hour speech were any references to the bitter partisanship in Washington, D.C., that played a large role in her decision to forgo re-election to a fourth term. In many ways, Snowe contributed to that partisanship on Sunday by highlighting “philosophical differences” between the two major political parties. She praised the accomplishments of the Republican-controlled Maine Legislature and Gov. Paul LePage and she said she hopes that continues past the 2012 elections. “They have made too much progress to turn back now,” Snowe said. Snowe also talked about the need to pass a federal balanced budget amendment. During her more than three decades in Congress she has tried 18 times but was never successful. As the speech wound down, Snowe moved away from targeted criticism of Obama. Many in the audience likely viewed Snowe as a RINO, or Republican in Name Only, for the long-held belief that she is one of the most moderate senators in Washington. But they treated her with respect. Before Snowe took the stage, Gov. LePage made reference to the senator in his remarks.